"They were referred to us by another contractor and they phoned to tell us they would be out. They came and did the work in a timely and professional way." EcoSystems has been working with residential clients in Franklin County and it’s contiguous counties for over 20 years. We have received the highest rating from Angie’s List for the past 6 years. 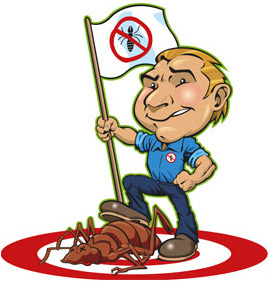 We offer several pest control plans but, we strongly believe in providing an on-going service. By doing so, the need to provide an emergency service to eradicate insects and rodents is almost eliminated. Our regular service creates an atmosphere where pests such as spiders, ants, bees (carpenter and honey), roaches, yellow jackets, wasps, millipedes, centipedes, fleas, ticks, mice, rats, etc. just do not want to exist. If the emergency elimination of insects and/or rodents is needed, we do provide those emergency services. Green is our color. Our products are friendly to the environment. Many of our clients, or those seeking pest control services, have pets and are concerned about their safety, as well as their family members. The products we use are generally non-toxic and are safe around humans, as well as pets.